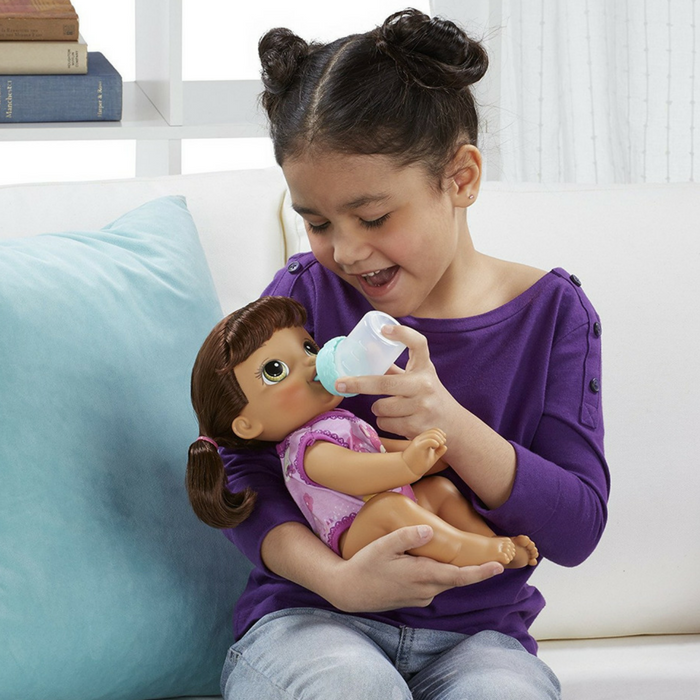 Baby Alive Baby Go Bye Bye Just $29.59! Down From $37! PLUS FREE Shipping! You are here: Home / Great Deals / Amazon Deals / Baby Alive Baby Go Bye Bye Just $29.59! Down From $37! PLUS FREE Shipping! Head over to Amazon where you can get this Baby Alive Baby Go Bye Bye for just $29.59 down from $36.99 PLUS FREE shipping! There’s many ways to play with the Baby Go Bye Bye doll! Better keep an eye on her…because she crawls and talks — wow, watch her go! Mommies can tickle her tummy and she crawls over. Shake her adorable rattle and she crawls when she hears it. Girls can take her along in the included carrier for on-the-go adventures. Also, feed her by filling her bottle with tap water and change her diaper after she wets! Talk to her and she’ll babble back – she speaks over 30 sounds and phrases in English or Spanish to share lots of lively and giggly moments with Mommy. Brush and style her rooted hair before and after she crawls too. It’s a fun day of play while taking care of baby! I’m sure your little girls would love it!